$387.87 per month for 24 months. $1,740.46 due at lease signing. Excludes registration, tax, title and license. $334.26 per month for 30 months. $2,098.79 due at lease signing. Excludes registration, tax, title and license. $323.88 per month for 33 months. $2,252.36 due at lease signing. Excludes registration, tax, title and license. $302.63 per month for 36 months. $301.53 per month for 39 months. $2,405.93 due at lease signing. Excludes registration, tax, title and license. $299.30 per month for 42 months. $2,559.50 due at lease signing. Excludes registration, tax, title and license. $298.87 per month for 48 months. $2,764.26 due at lease signing. Excludes registration, tax, title and license. 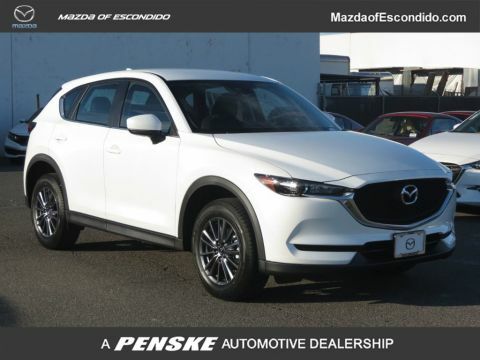 Listed Incentives are available for registrations at Mazda of Escondido located in Escondido, CA. Information Provided by Automotive Information Systems, Inc: Information is Reliable but not guaranteed. Finance Offers (APR) are available to qualified buyers subject to Credit Approval, not all buyers will qualify.